Indira Gandhi National and Open University will be going to conduct the annual exam to the students. The students can check passing marks and passing percentage for all subjects of IGNOU from the official website. If the students who have failed in assignment or term end theory, then they should submit again IGNOU assignment or the students should reappear in IGNOU term theory exam. Regularly visits the official website will be of assistance you to be familiar with more about IGNOU passing marks. Indira Gandhi National and Open University offer various under graduate and post graduate courses in all over India. Huge numbers of students are studying under IGNOU regional study center. The exam board will be provided the passing marks for theory, practical and assignments for each subject in the official site. 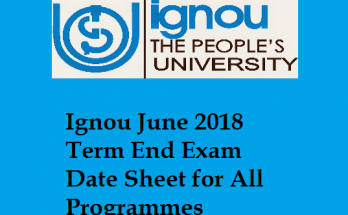 The students of IGNOU have to pass the assignment, term end theory and term end practically separately. 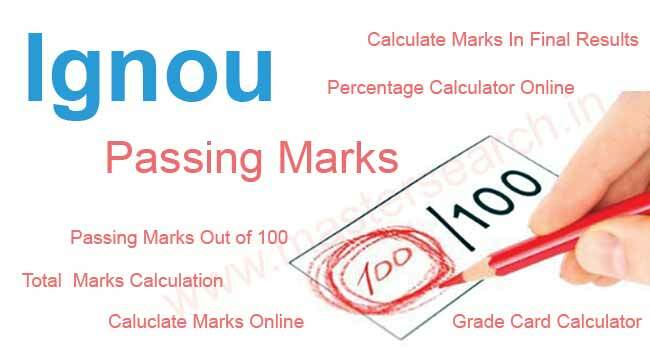 The students can view and check the passing marks from the official site. IGNOU will calculate different passing marks for each subject. Basically, IGNOU passing marks for theory is 40 out of 100 and 50 out of assignments. The exam board of IGNOU will be issued passing marks out of 100, 70 and 50 for all subjects in the official site. For fear that, if the students who have passed in theory but failed in assignment, then they have to submit the IGNOU assignment to the study center of IGNOU. The students should submit the assignment before the last due date. If the students who have failed in term end theory but passed in assignment, then the student has to reappear end term theory again. The students have to score more than or equal to 50 percent in term end exam will be passed or rest will be fail status or incomplete in grade card of IGNOU. Minimum passing marks is 18 out of 50 marks paper. Minimum passing marks is 35 out of 100 marks paper. For 25 Marks papers, passing marks is 9. Minimum passing marks is 20 out of 50 marks paper. Minimum passing marks is 40 out of 100 marks paper. Note: For the assignments which are all of 100 marks only, the passing mark is 35 for all students. IGNOU will also provide pass percentage, cut off marks and merit list in the official site. 36% percentage out of 50 is considered as the pass mark by IGNOU. IGNOU will pursue approximation norm for the pass percentage calculation. If the students who got 17.5 in any one of the subject, then it will be displayed as 18 as well as the student who got 18.5 will be shown as 18. If the students got 38 marks instead 40 marks in any subject, then they have not passed in the particular paper. The passing mark for theory subject is 40 out of 100 and the students need to score at least 50 marks in assignment. Conversely, the students are failed to get below 50 marks in the assignment and 40 marks in theory will again write the exam and submit the assignment to regional center. If the students who have partial written under term end exam, then the students will be failed in term end exam. The students those who are not completed term end practical, then they will be failed in TEP (Term End Practical). IGNOU will also be issued the pass marks for all programs under IGNOU in the notification prospectus. The students can also check and refer the notification prospectus or booklet for checking the pass marks for all subjects. The students who have submitted and passed in IGNOU assignment before the due date to the regional study center of IGNOU will be convincing for whole program period. If you got good marks in the assignment, then 35 out of 100 will be regarded as passing marks for term end exam. The students who are pursuing under IGNOU should know about the theory marks and assignment of term end exam. The students can check their theory and assignment marks in IGNOU grade card from the official website. How the Students Can Check IGNOU Passing Marks? The students can easily check the passing marks of IGNOU for all subjects in the official site. The exam board will be issued the subject wise passing percentage for both theory and assignments out of 50, 70 and 100. Here, we are providing the simple steps to give details about how to check IGNOU passing marks for all subjects from the official site. Go and visit the official website of IGNOU at ignou.ac.in. Select the preferred subjects passing marks direct link in the official website. 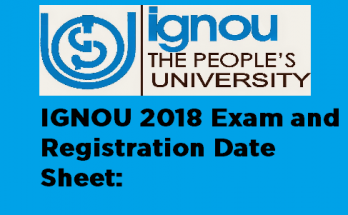 Download IGNOU passing marks into your mobile phone or computer. 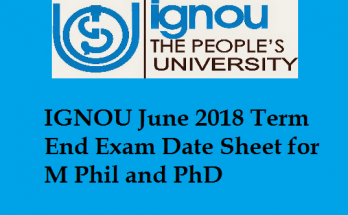 Save and open IGNOU passing marks in PDF format. Take the hard copy of IGNOU passing marks, if you needed. Thanking you for visiting our site IGNOU News and reading our post. We assure that we will keep informed our site with more fine points in a little while. I want the list of IGNOU toppers for 2016 and 2017 for MEc program. I cannot find the names of toppers on the internet. Please help me to get them.